Attorney Todd Spivak is an extremely effective attorney with the people skills to match. Click Here For Full Article– Jeff O.
I highly recommend Attorney Todd Spivak. Click Here For Full Article– Heidi S.
This was my first experience with a lawyer and I don’t think it could have been any better. Click Here For Full Article– Frank C.
I ultimately got the result I wanted and I couldn’t have done it without Attorney Todd Spivak’s help. Click Here For Full Article– Adrienne P.
I am so happy and satisfied with the level of service I am getting from Attorney Todd Spivak. Click Here For Full Article– Brian W.
I want to thank you from the bottom of my heart for everything you have done for us. Click Here For Full Article– Kimberly R.
Attorney Todd Spivak is always professional and has a heart at the same time. Click Here For Full Article– Adam S.
Attorney Todd Spivak took the time to explain so that I clearly understood our options. Click Here For Full Article– Arlene O. Attorney Todd Spivak’s professional demeanor was excellent in court. Click Here For Full Article– Christopher Q. Attorney Spivak attacked our problem head-on and came out with a winning conclusion! Click Here For Full Article– Richard S.
Attorney Spivak’s preparation before each case is outstanding. Click Here For Full Article– Demond H.
Attorney Todd Spivak was extremely helpful in expunging my criminal record. Click Here For Full Article– Robyn W.
Attorney Todd Spivak saved my family and continues to fight for us. Click Here For Full Article– Dave N.
Attorney Todd Spivak got the criminal charge dismissed and kept my record clean. Click Here For Full Article– Lisa C.
I absolutely recommend Attorney Todd Spivak for family law. Click Here For Full Article– Jason B. Thank you for protecting my family and exposing the truth. Click Here For Full Article– Janet Y. Attorney Todd Spivak was great for my child custody case. Click Here For Full Article– Paul F.
Attorney Todd Spivak truly had mine and my child's best interests at heart. Click Here For Full Article– Linda P.
Attorney Todd Spivak got my PFA dismissed. Click Here For Full Article– Bruce R.
Without hesitation, I would highly recommend Attorney Spivak. Click Here For Full Article– Heather F.
Thank you for the excellent counsel at my PFA hearing. Click Here For Full Article– Gene T.
Attorney Todd Spivak protected my reputation, exposed the truth, and got the PFA dismissed. Click Here For Full Article– Cindy N.
Attorney Spivak is an effective negotiator and advocate. Click Here For Full Article– Adam L.
Attorney Spivak preserved my rights as a father and protected me from allegations of abuse. Click Here For Full Article– Henry C.
Hiring Attorney Todd Spivak is the best move we’ve made in our child custody case. Click Here For Full Article– Robyn Z. Trust me, Todd Spivak is the attorney you need in your corner. Click Here For Full Article– Matt L.
Attorney Spivak made a difficult situation a lot easier. Click Here For Full Article– Kelly R.
I'm grateful Attorney Spivak is my lawyer. Click Here For Full Article– Harold P.
I can't thank Attorney Spivak enough for helping my family. Click Here For Full Article– Emily V.
I will always recommend Attorney Spivak for child custody issues. Click Here For Full Article– Desiree P.
Attorney Spivak is a true professional and a person you can count on. 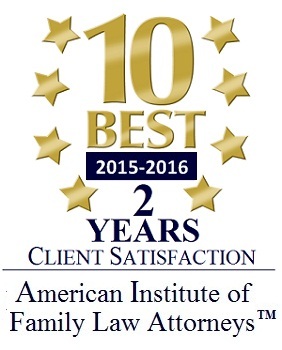 Click Here For Full Article– Nick B.
I can't thank you enough for all the work you've done on my child custody case. Click Here For Full Article– Roland S.
Attorney Todd Spivak helped me at the worst moment of my life. Click Here For Full Article– Bob P.
Attorney Todd Spivak helped me tremendously at a crucial time. Click Here For Full Article– Nicole P.
I cannot recommend Attorney Todd Spivak highly enough. Click Here For Full Article– Gary B.
I couldn’t be more satisfied with the outcome Attorney Spivak achieved. Click Here For Full Article– Wanda H.
Attorney Spivak got the PFA and criminal charges against me dismissed. Click Here For Full Article– Donald T.
Attorney Spivak kept me united with my daughter despite her mother's attempts to alienate me. Click Here For Full Article– John P.
Attorney Spivak is an excellent trial lawyer. Click Here For Full Article– Suzanne C.
Attorney Spivak is experienced, reliable, honest, and affordable. Click Here For Full Article– Crystal Y. Thank you, Attorney Spivak, for exposing the truth. Click Here For Full Article– Jerry D.
Attorney Spivak protected my child custody rights. Click Here For Full Article– Samantha M.
Hiring Attorney Todd Spivak was one of the best decisions I’ve ever made. Click Here For Full Article– Mark T.
Attorney Spivak is the best family law and criminal defense attorney in Pittsburgh. Click Here For Full Article– Jonathan D.
Thank you for getting the PFA dismissed. Click Here For Full Article– Scott R.
Attorney Spivak helped me with my PFA and child custody cases. Click Here For Full Article– Teresa W.
Attorney Spivak provided the highest level of professionalism in my PFA case. Click Here For Full Article– Gabriel P.
Spivak Law Firm has the most wonderful and insightful attorneys. Click Here For Full Article– Julia B.
Spivak Law Firm has genuine compassion for their clients. Click Here For Full Article– April J.
Spivak Law Firm worked tirelessly on my child custody case. Click Here For Full Article– Jason A.
Spivak Law Firm expunged my criminal record. Click Here For Full Article– Ronald D.
I recommend Attorney Rebecca Canterbury for family law. Click Here For Full Article– Sue T.
Attorney Spivak was truly an advocate for my family. Click Here For Full Article– Matt N.
You can trust Spivak Law Firm. Click Here For Full Article– Nicola B.
I recommend Attorney Spivak for child support hearings. Click Here For Full Article– Petra V.
Attorney Rebecca Canterbury fought for me and won. Click Here For Full Article– Sandra C.
I won shared custody thanks to Attorney Canterbury. Click Here For Full Article– Sheldon P.
Attorneys highly recommend Todd Spivak for family law. Click Here For Full Article– Latoya K.
You need Spivak Law Firm at your PFA hearing. Click Here For Full Article– Robert G.
Attorney Spivak has done so much to help my family. Click Here For Full Article– Lisa E.
Spivak Law Firm genuinely cares about their clients. Click Here For Full Article– George R.
I highly recommend Attorney Canterbury for family law. Click Here For Full Article– Dawn C.
Spivak Law Firm won my PFA case. Click Here For Full Article– Jon K.
Todd Spivak and Rebecca Canterbury are the best PFA lawyers in Pittsburgh. Click Here For Full Article– Edward A.
Spivak Law Firm automatically collects domain information such as IP address, browser type, and domain names. This information helps us determine how often people visit our website and what parts of the website they visit most frequently. Though most browsers are set up to accept cookies, you can modify your browser to decline cookies if you wish. Some features of our website may not function properly if you choose to decline cookies.